The food that you grow up with follows you the rest of your life. No matter where you go, now matter how your circumstances change, the food that grew you will follow. That’s how it is with us Filipinos and our favorite summertime treat, halo-halo. Halo-halo literally means mix-mix. It’s a mixture of everything good, sweet and delicious floating amidst crushed ice, milk and ice cream. The yearning intensifies as temperatures climb as it did with us this past week of 90 degree plus with humidity weather. So my daughter Asi made us these treats to cool off. There’s really no recipe for this, I’ve posted before about halo-halo that had links to other types of shaved ice desserts. Since I didn’t make this one, I’ll guess at what Asi put in her halo-halo. I think this one has kaong, pineappe gel, macapuno, white beans, ice with ice cream on top. If you’re wondering about the red color, she also drizzled some cherry syrup on it, the kind you get in the jar that maraschino cherries are floating in. Apparently we weren’t the only ones dreaming of halo-halo on a hot summer day, our friend Nick who just moved to the land of the kiwi was also lamenting about how he misses halo-halo. He’s right about one thing, the halo-halo that you buy on the streets in the Philippines taste sooo good! Even though you know it’s probably not the most hygienically prepared and they probably don’t even put as much sugar or milk as you would at home, street bought halo-halo is the stuff that seeps into your soul and you dream about it and miss it for the rest of your life. Well, maybe not all that dramatic, but it’s damn good and you can’t get enough of it! I’ve never eaten this, but it reminds me of my favorite summer treats that I grew up with like Italian Ices. Nothing like it unless you buy it from a street vendor. 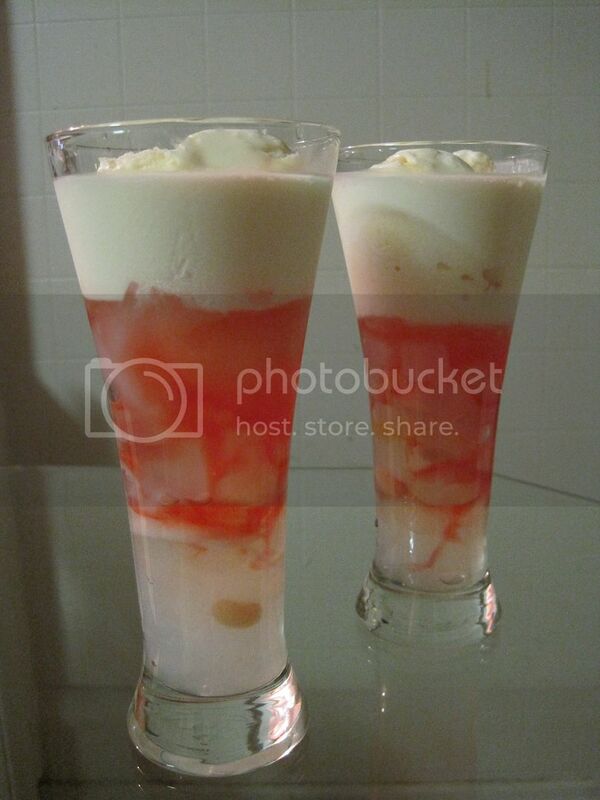 I love the idea of halo-halo. It is hard to understand but street bought foods and drinks are always so good.